Geldart, Mokoatsi and Associates (GM&A) strives to provide a professional, efficient and where possible, cost effective service to ALL its clients. The company seeks to expand both in terms of size and diversity, so as to afford opportunities in particular to more historically disadvantaged people, but also to serve its clientele better. Members of the company are committed to building and developing the company’s asset base so that it can become a force to be reckoned with locally and internationally. Members of the company share the belief that the growth of the company will have a positive impact on the economy of South Africa and her people. Geldart, Mokoatsi and Associates are a fully-fledged and appropriately registered Close Corporation that was established and registered in June 1998. The company was formed by two main members and has over the years had company associates. The Close Corporation is BEE compliant, meets all requirements of SARS and satisfies all conditions to be an employer as it is registered with the workman’s compensation commissioner as well as with the Department of Labour. The Close Corporation was established specifically to provide consulting services in the areas of accredited training, programme and project facilitation and project management. 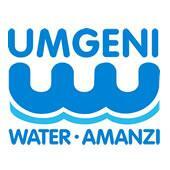 Since its inception GM&A has been involved in programmes such as the then Department of Water Affairs and Forestry’s Masibambisane 1 Programme, has acted as programme manager on the Impendle Rural Sanitation Programme on behalf of the uMgungundlovu District Municipality and was a member of a team that was appointed by the KZN Department of Agriculture to rehabilitate an existing community agricultural scheme. Because of the Close Corporation’s astute project management ability, GM&A was invited to join a consortium with four other companies (Jeffares & Green Consulting Engineers, Stocks Coastal, Bateman Water and Makhetha Development Consultants) to form a company called AquAmanzi Developments (Pty) Ltd. The latter company was awarded a Built Operate Train and Transfer (BoTT) contract by the Department of Water Affairs and Forestry in 1997 for the implementation of community water and sanitation projects in the KwaZulu Natal province through the RDP process. The BoTT contract was renewed twice until 2003 and some 65 community water and sanitation projects were successfully delivered throughout the province of KwaZulu Natal. Since 2004 GMA has been involved in providing consulting services to various other clients including its current appointment by DWA / OR Tambo District Municipality through the implementing agency of Umgeni Water where the latter has been contracted to construct a large dam in Mbizana, to reconstruct the water treatment works and to supply treated piped water to all communities in Mbizana and Flagstaff in the Eastern Cape.